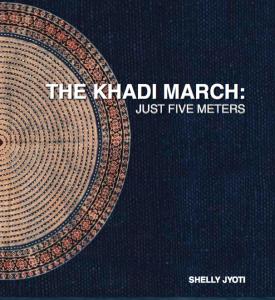 Shelly Jyoti’s compelling exhibition, The Khadi March: Just Five Meters, is a provocative exploration of India’s material possibilities for building greater community in the new millennium. 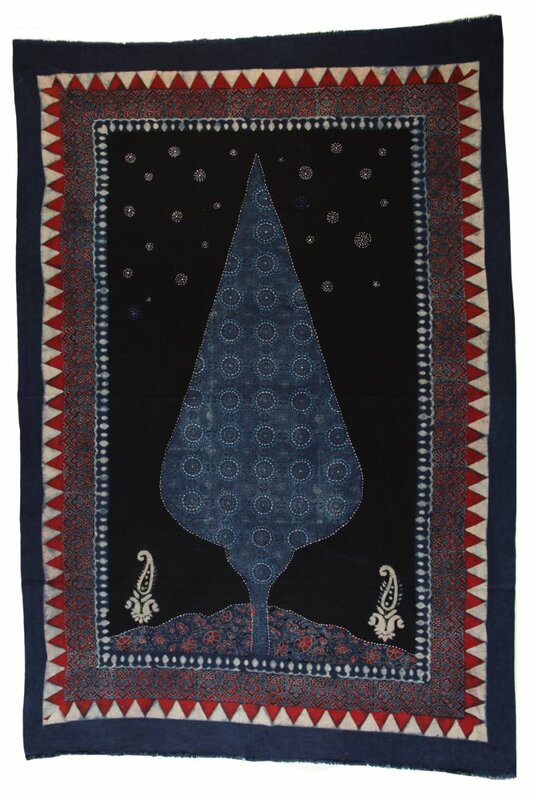 Drawing upon the nationalist politics of Mohandas K. Gandhi’s swadeshi movement and using its chief product, khadi or homespun, homewoven cloth, Jyoti’s multimedia art considers how production and consumption today might foster empathy and understanding across communities, as well as develop self-reliance and independence within individuals. 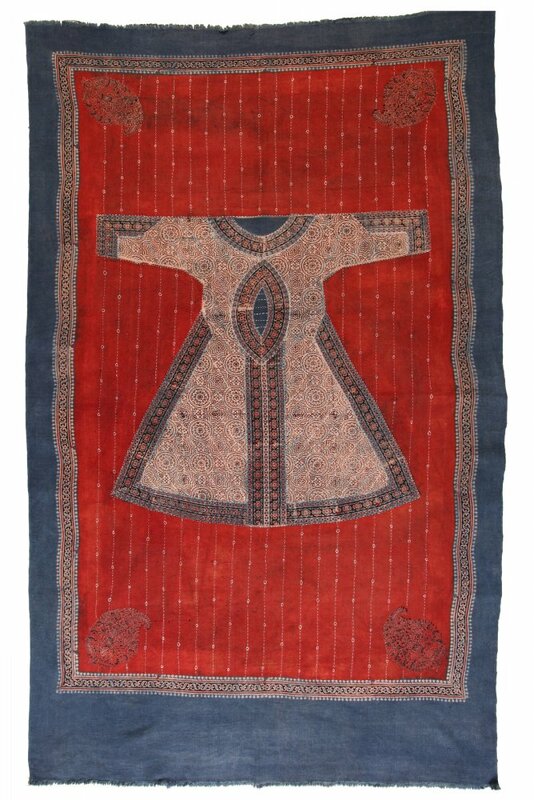 Many of the pieces featured in this exhibition are purposeful collaborations between Jyoti, a textile and visual artist, and ajrakh artisans in Kutch, Gujarat, whose families have been engaged in textile arts for generations. 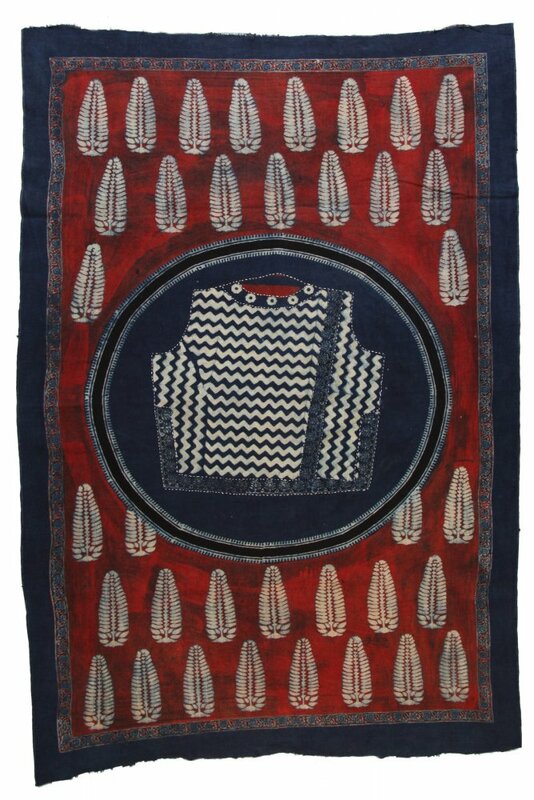 In opening up this dialog among fellow artists, Jyoti not only reintroduces earlier forms of textile practice to urban viewers, she aims to engage urban communities in the lives and livelihoods of rural Indians. Re-establishing this connection across India promises to provide lessons with potential beyond India’s borders, an idea first explored by Mohandas K. Gandhi (1869-1948) in the early twentieth century. During India’s mass nationalism period (1920-1947), Gandhi pursued a swadeshi, or indigenous goods, movement by advocating the production and consumption of homespun cloth known as khadi. This particular form of Gandhi’s non-violent protest has garnered less attention than his fasts or his dramatic march to the sea at Dandi in 1930, where followers challenged an unjust British tax by making salt and selling it without government sanction. Gandhi also sought to prepare India for independence in part by reorienting the population toward a simpler life and away from modern consumer habits he saw as not only excessive, but also morally destructive both to community and to the individual. By limiting one’s material desires and focusing instead on the basic needs of one’s local community, Gandhi argued that Indians could remake their society through the bonds of mutual interdependence and local independence. Swadeshi politics, thus, for Gandhi were a critical feature of the cultivation of morality as the basis for lives devoted to the performance of dharma. The underpinnings of Gandhi’s swadeshi politics can be found in his one political treatise, Hind Swaraj, published in 1909 before he returned to India from South Africa. While living in a territory of the Empire as a British subject from India, Gandhi gained a new perspective on the contradictions and failings inherent in an imperial system that he had otherwise admired. South African officials mistreated their Indian subjects by the standards of British law, and Gandhi sought to make these contradictions visible for all in the world to see. Through a series of civil disobedience activities, Gandhi won international attention and limited redress of discriminatory laws against the Indian community. In the process, Gandhi discovered ‘India’ as an idea for himself. His protests against the South African regime drew the support of many communities of Britain’s Indian empire, including Punjabis, Tamils, Gujaratis, Parsis, and Muslims. In Hind Swaraj, Gandhi offered one of the first significant critiques of Western imperialism, reflecting not only upon the limitations of western progress and the dangers industrial capitalism posed for a moral society, but also questing whether the West had achieved the civilization it claimed and suggesting that India should pursue a different path. Gandhi had argued forcefully against Western modernity that he pointed out had turned moral people into wage slaves across Europe. Highlighting that a life driven by the desire for things was corrupting and ultimately empty, Gandhi argued that industrialization and modern progress in fact enslaved workers. Their need for what he termed ‘bodily welfare’ and creature comforts, stripped the individual both of their independence and of their humanity. A quest for more things made them dependant on earning a higher wage and drove them from their rural communities to cities in desperate search for work that paid enough to satisfy their consumer desires. Speaking of the condition of modern workers in Hind Swaraj, Chapter VI: Civilization, Gandhi wrote, “Their condition is worse that that of beasts. They are obliged to work, at the risk of their lives, at most dangerous occupations, for the sake of millionaires. Formerly, men were made slaves under physical compulsion, now they are enslaved by temptation of money and of the luxuries that money can buy.” Having been separated from kin and community, the city and its immoral temptations corrupted the modern worker, undermining both their duties to one another and their ability to remain moral. This civilization, Gandhi declared, was irreligion. Returning those individuals corrupted by modernity to a life reoriented around realization of their dharma was the central focus of Gandhi’s programs. Gandhi’s critique of modernity laid the groundwork for the development of the swadeshi movement, in which an ordinary country cloth was to play a central part. By the time he left South Africa in 1914, Gandhi had come to appreciate that a major obstacle to realizing the justice he sought was the fragmentation of India’s people. Not only did he seek to create bridges between people of different regions, languages, castes, and religions, Gandhi also pursued a solution to the rapidly widening gulf between India’s vast rural population and her increasingly prosperous urban elites. It was only after he returned to India that Gandhi was able to translate the theoretical ideas he expressed in Hind Swaraj into concrete political action. In the case of the swadeshi movement this required he learn how to weave, according to his autobiography, before he was able to spin. Once qualified people who possessed the basic skills of cloth production joined his ashram community in Ahmedabad, Gandhi’s swadeshi politics quickly took shape. Swadeshi’s potential became apparent only in 1919 when the British government of India instituted the Rowlatt Acts and General Dyer’s troops fired upon people in Jallianwallah Bagh, leading to the country’s Non-Cooperation Movement. In the context of unprecedented civil unrest, Gandhi’s political strategies and priorities gained popular support. Following the passage of the Congress’ Non-Cooperation Resolution, thousands resigned their government posts, returned government honours, and left government colleges in protest. Many thousands engaged in public demonstrations against the injustice of the Punjab. Gandhi’s focus on the production and consumption of khadi found a new, wider audience. Swadeshi politics became a means of self-purification, national community building, and political mobilization. Khadi, its chief emblem, emerged as the symbol of resistance to British authority. Over the course of the 1920s, 1930s and 1940s, Gandhi’s movement defined the significance of khadi in three distinctive and flexible ways. As an ostensibly traditional product, produced through traditional means, khadi was portrayed as a material artefact of the nation. In other words, khadi stood in for India. Gandhians also rendered khadi a discursive concept by defining its significance in terms of contemporary politics and economics that privileged local, over transnational, relations. And, finally, khadi became a visual symbol that marked individual bodies as distinctly Indian, rather than identifying them with regional, religious, caste, or class associations of earlier eras, and that marked space as national, not colonial. Although home-spun, homewoven cloth was not new to nationalist India, Gandhi’s political genius was its re-definition in these three interconnected ways. Gandhi’s swadeshi movement was aimed particularly at India’s urban middle class population, which was witness to the greatest “progress” in early twentieth century. Although Gandhi promoted hand-spinning as a source of supplementary income for India’s villager communities, particularly women who had limited sources of income and those affected by devastating floods, his main focus was to re-establish a deep and meaningful relationship between rural and urban India. Gandhi asked that the urban middle-class reconsider their consumer habits and priorities, which economically benefitted foreign countries often at the expense of fellow countrymen and women. While Gandhi hoped that he might persuade his audience to significantly reduce consumerism over all, the success of his approach did not require a dramatic change from this particular segment of the population. Instead, Gandhi asked urban middle-class families to re-orient their consumer habits. 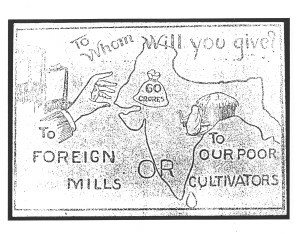 Rather than purchasing foreign-made goods, Gandhi urged middle class and elite Indians to consume those goods made by Indian hands whenever possible. By doing so, Gandhi reasoned that urban and middle class India would learn to perform their dharma to their national community by providing work for both traditional and new producers of khadi and other goods. As it developed during the 1920s, first within the Indian National Congress and later via an institution independent of the nationalist organization, swadeshi politics, and khadi in particular, indeed found its appeal primarily among urban and middle-class consumers. As a result, an interesting tension emerged between Gandhi’s early anti-consumer critique of Western modernity and the movement’s need to propagate its message through the introduction of a new set of consumer practices. Under the aegis of the All India Spinners’ Association, swadeshi proponents marketed their goods through mail order catalogues, as well as stand-alone shops in India’s metropolitan and regional centres. In order to reach small towns, Gandhi and his associates orchestrated a series of khadi tours and exhibitions in the second half of the 1920s. These strategies garnered regional press coverage and drew participants from small village communities to new consumer and producer roles. 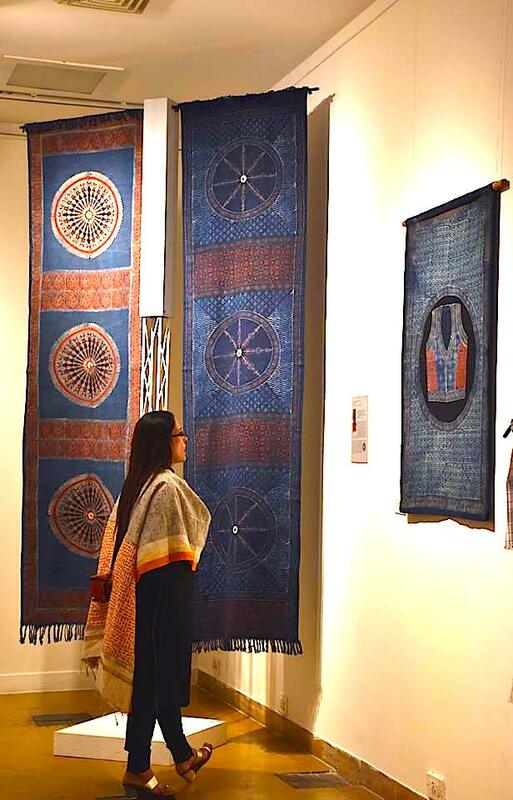 Visitors to khadi exhibitions, not only were exposed to the process of producing khadi, they were also enticed to participating in national community by purchasing a wide range of khadi goods from flags and clothing to housewares. 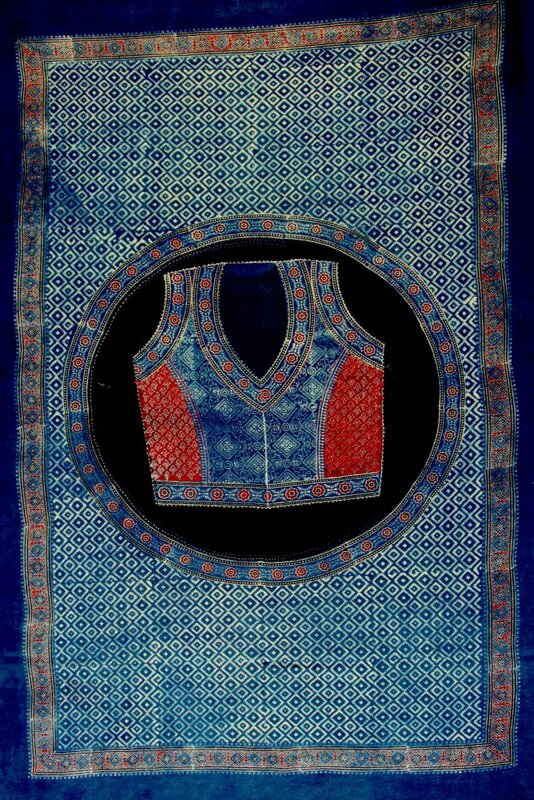 By displaying khadi in its various regional forms, khadi became a means of communicating beyond the traditional boundaries of region and language, as well as class and caste. 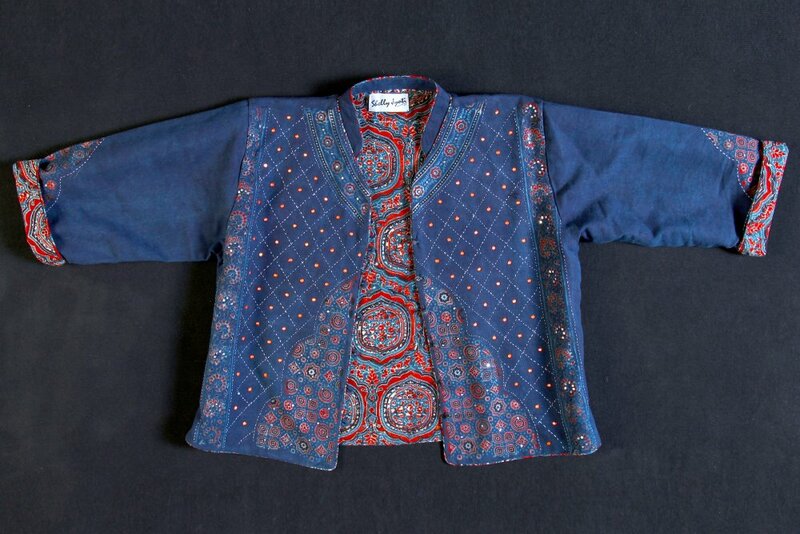 Khadi thus became a material artefact of a new national community. 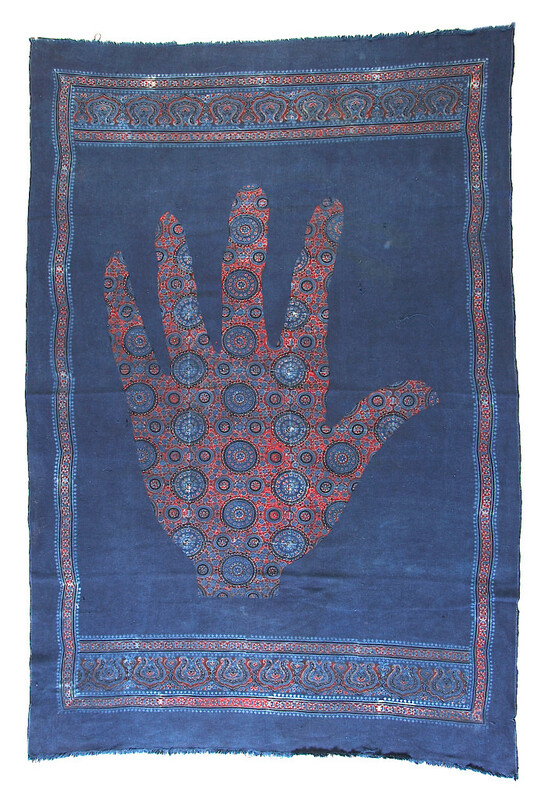 While Gandhi’s movement originally focused on producing clothing, particularly kurtas, pajamas, dhotis, saris, shirts, and topis, by the late 1920s, the movement expanded its production to include a range of goods intended for use in the home, including draperies, dhurries, bed covers, and towels. If Gandhi’s primary site of transformation had been the Indian body, staking a claim on the space of the home and homeland became increasingly important to the political confrontations staged by his followers in the 1920s and 1930s. Nationalist sympathizers displayed khadi bunting from the street-facing balconies of their homes in Bombay. Others processed the khadi charka flag through city streets and into major public spaces to celebrate national occasions. Gandhi’s satyagrahis were joined eventually by native members of the municipal corporations, who decorated official events with khadi bunting and, perhaps more surprisingly, hoisted the Congress flag alongside or above the British Union Jack. Gradually, municipal governments adopted khadi uniforms for their employees. 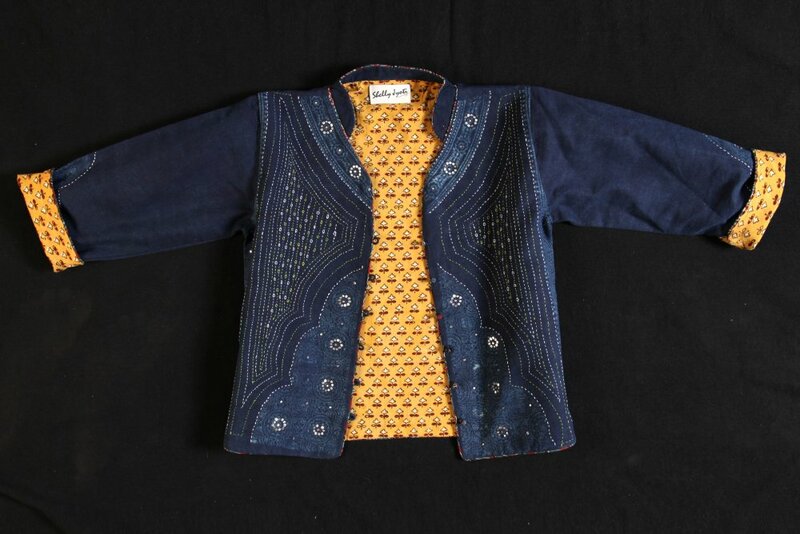 Khadi thus was transformed from a material that announced the wearer’s political affiliation both to her own community, as well as to foreign colonial officials who witnessed its appearance in public, to a material that communicated the sacred territory of a society claiming home rule. The significance of the swadeshi movement resided in its creation of a material symbol that was so flexible that it could bridge the various political, social, and economic divides that had until this period undercut unified resistance to British authority and expression of national community. Since the nationalist period, swadeshi politics has continued to occupy a significant role in modern India. Shortly after independence, Prime Minister Jawaharlal Nehru’s established the Central Cottage Industries Board (1948) and the All India Handicrafts Board (1952) to promote handloom cloth and artisanal crafts alongside khadi. 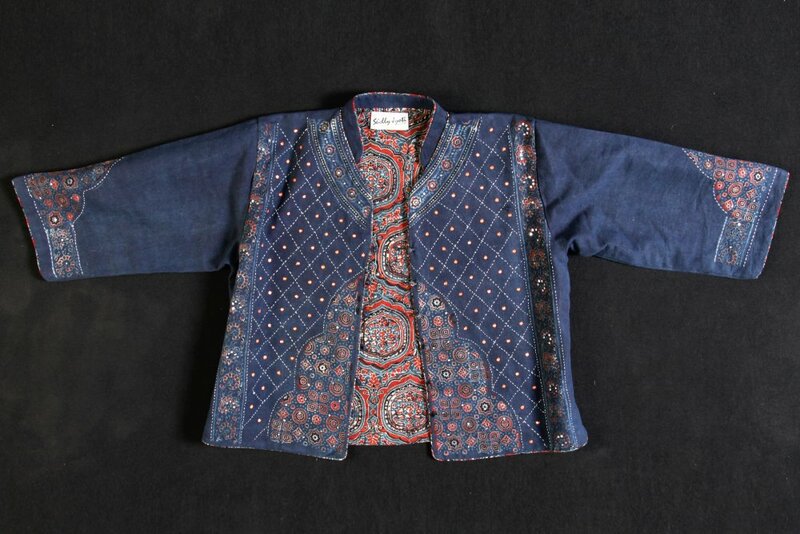 The nationalist material continued to be available to the public through government-subsidized stores, or khadi bhavans, that dotted the nation’s landscape. Leading these efforts at the national level was Kamaladevi Chattopadhyay, a prominent nationalist leader, Gandhian, and arts advocate. 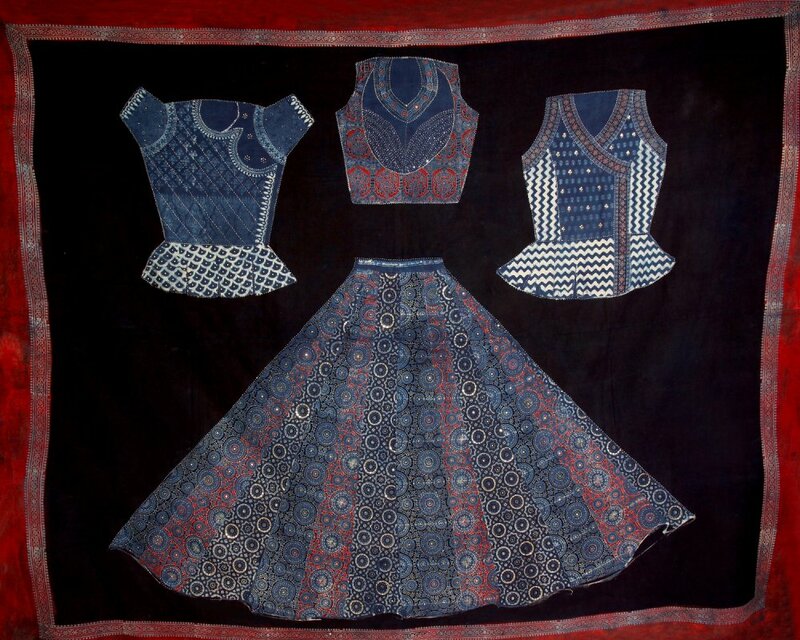 Chattopadhyay believed firmly that traditional handicrafts, like khadi, could be used not only as a tool for the expression of political dissent, but also as a means of unifying a new society through the goods consumed in daily life. It was her goal that India’s cultural identity would be closely tied to the inherent beauty of its traditional arts. Although Nehru was preoccupied by India’s rapid industrial development, his newly independent government promoted the consumption of khadi by subsidizing its cost to consumers, and by offering additional rebates during an annual sale in October that celebrated Gandhi’s birthday. 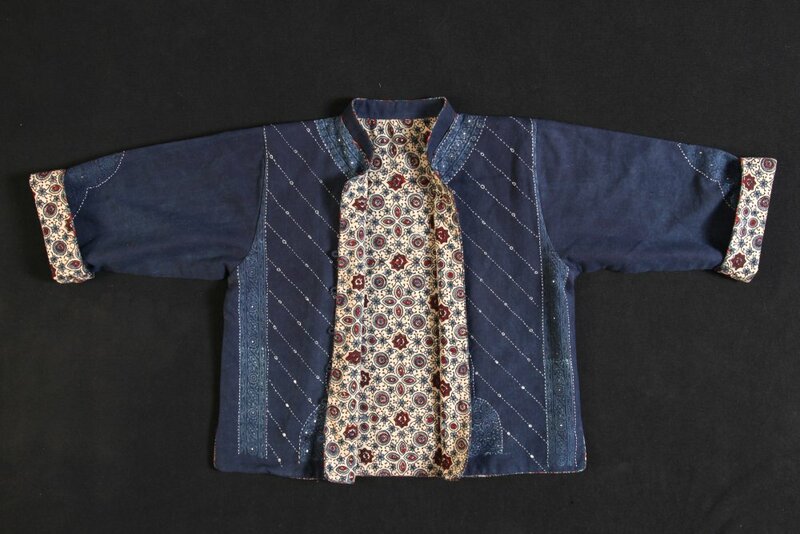 In the years after independence, many municipalities continued a practice begun during the movement by issuing government uniforms made of khadi. 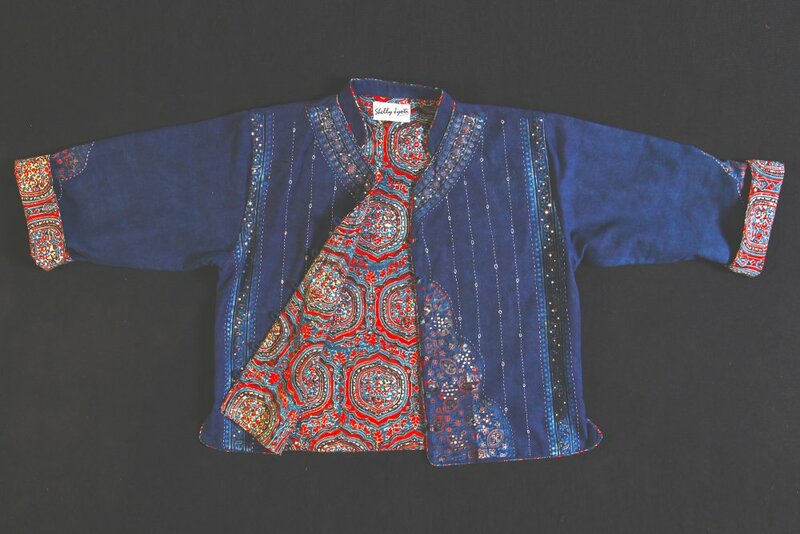 While Indira Gandhi’s government continued support, by the 1970s and 1980s khadi was transformed by its close association with India’s political classes, eventually and was eventually recognized as the uniform of India’s often corrupt political elite. Since the liberalization of the Indian economy, khadi’s popularity has surged among India’s urban transnational elite in large part because of it revival by private businesses that have succeeded by marketing traditional textile production. Whatever its associations and meanings in post-independent India, khadi has remained an important symbols of a modern Indian nation from the early twentieth century right up to today. Khadi: a contemporary use for today? Jyoti’s installations, artwork, and poetry all engage with this earlier history by exploring how the politics of an earlier nationalist era may be useful in responding to the globalized economic challenges that confront India and many other countries in the world today. Gandhi urged India to identify with one another through modes of consumption that were visual, tactile, and audible. 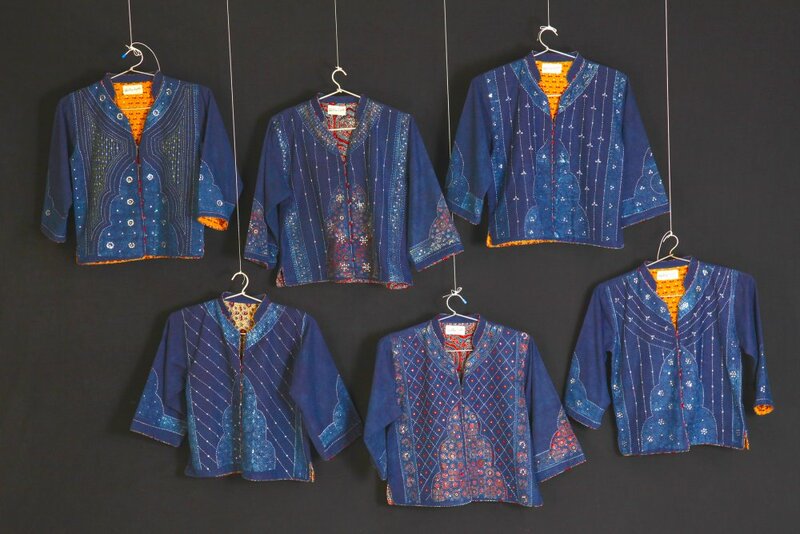 Significantly, Jyoti similarly explores the possibilities of community through her use of khadi. 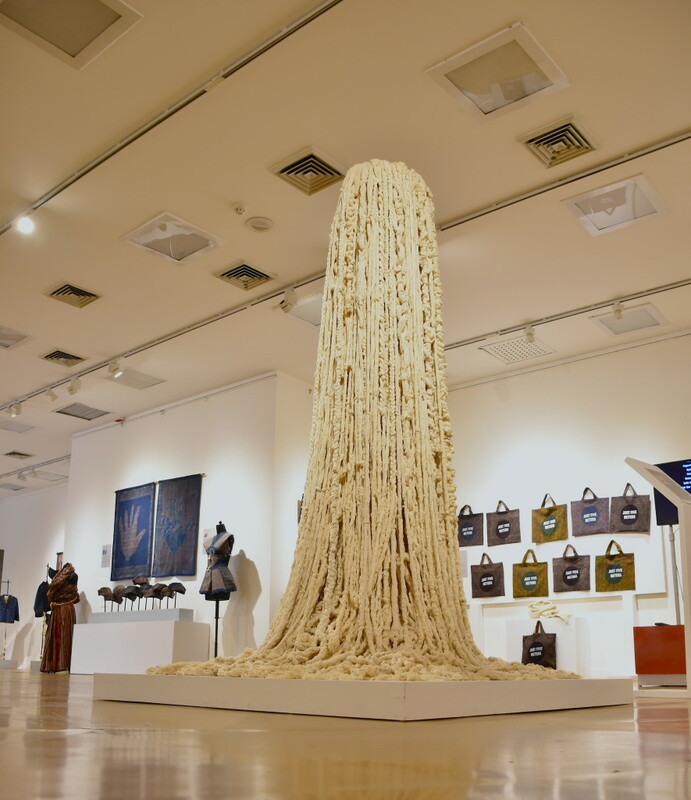 Jyoti’s exhibition calls upon India’s urban population to connect on a human level with one another through each of these three modes of consumption. By doing so, Jyoti hopes to inspire new, meaningful conversation about community in the era of globalisation. In a site-specific installation for this exhibition, Jyoti shares with us The Yarn Spring, which brings together 1000 raw cotton yarn bunches to emphasize the meditative process of spinning thread and its potential as a catalyst for deep social change. As anyone who has ever tried to spin knows, the spinner must clear the mind of any distractions in order to maintain the constant tension required to produce even, good quality thread. Jyoti’s piece, made through macramé and knotting techniques, reminds the viewer also that each thread was produced by a person by hand, and that as a community such unity in action and purpose has the potential to uplift the entire community. Decolonizing khadi hand towels juxtaposes khadi with the cover illustration of a bulletin published in 1921. Twelve khadi towels remind us that khadi is a material that we experience in a variety of ways in our everyday lives, including when we bathe. The unevenness of texture of the towels and their multicolour reminds us that these are not made by machine, but by living breathing people in our community. Using khadi towels on a daily basis today, as was the case in the nationalist period, is a simple means of sustaining the livelihood of millions of rural workers. 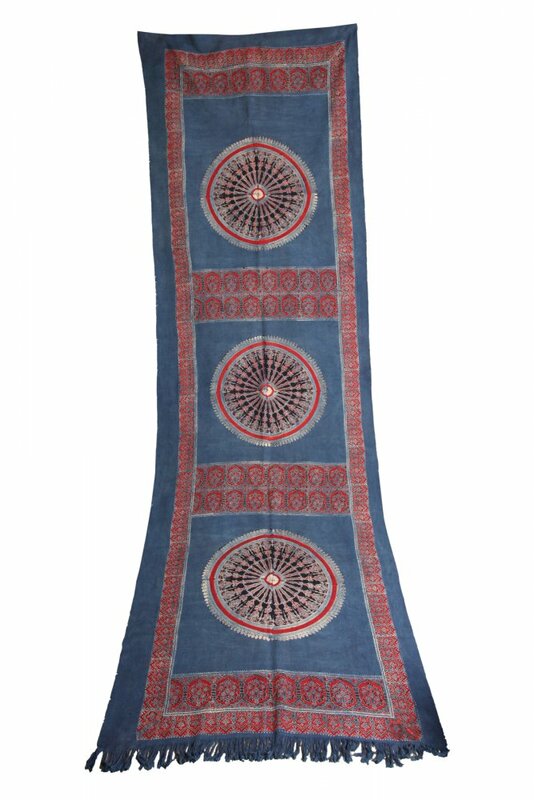 By choosing objects of every day life, like the khadi towel, a consumer performs what Gandhi termed ‘swadharma’ or duty to the country. The productive tension between Gandhi’s critique of consumerism and his swadeshi politics is also evident in an installation of shopping bags that overflow with khadi. Approximately ten years ago, India’s khadi bhavans, including those in Delhi, Mumbai, and Jaipur, underwent a significant transformation. Stores were redesigned to be more appealing to the new consumer sensibilities of India’s rapidly growing middle classes, many of whom were increasingly familiar with the standards and aesthetics of global retail chains. The transformation extended beyond a renewed “look” for the brand. The products for sale were also redesigned significantly for the first time in decades in an attempt to attract new consumers. Jyoti invites her viewers to consider new opportunities through consumerism with her installation of nine khadi shopping bags. Since the nation-wide makeover of khadi bhavans, many businesses have also replaced their use of plastic shopping bags, which choke our city’s water systems during the monsoon, opting instead to use bags made of eco-friendly materials, including recycled newspaper and handmade paper. While globalization and its effects may often seem beyond our power, Jyoti reminds us with this installation that making responsible consumer choices is possible after all. A revolution can be achieved through these seemingly small choices when intentionally taken whether one is a consumer or a small business owner. 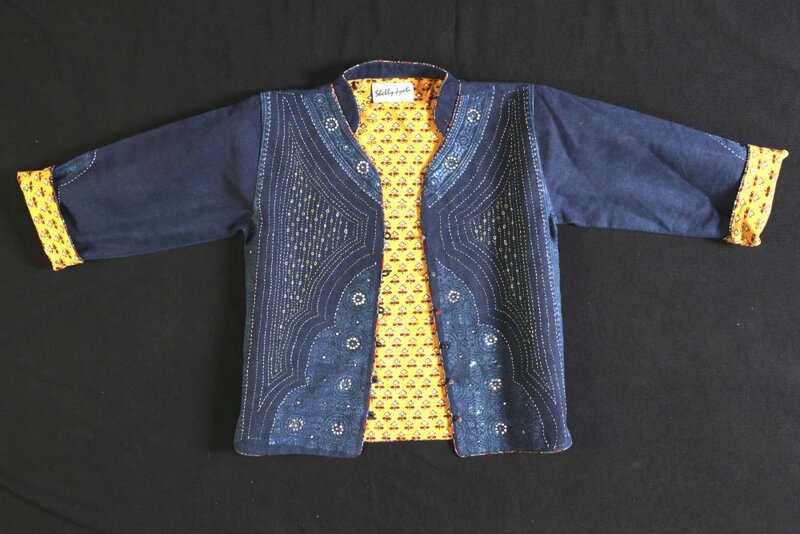 The most popular use of khadi during the nationalist period came in the form of ready-made apparel of many kinds. By clothing one’s body in khadi, whether with a kurta, topi, or sari, swadeshi proponents announced their identity as an Indian to all who saw them. 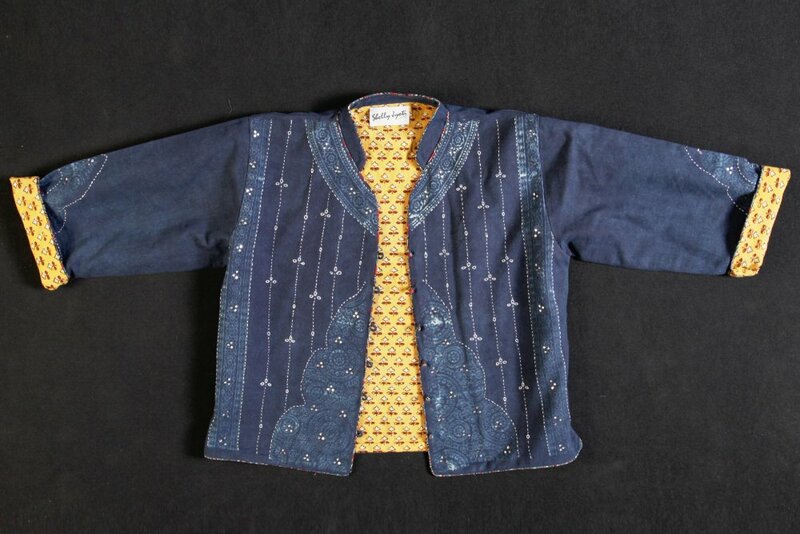 Jyoti explores the transformative possibilities of dress as a vehicle to expresses community through her installation of ajrakh blouses, caps, and stoles. 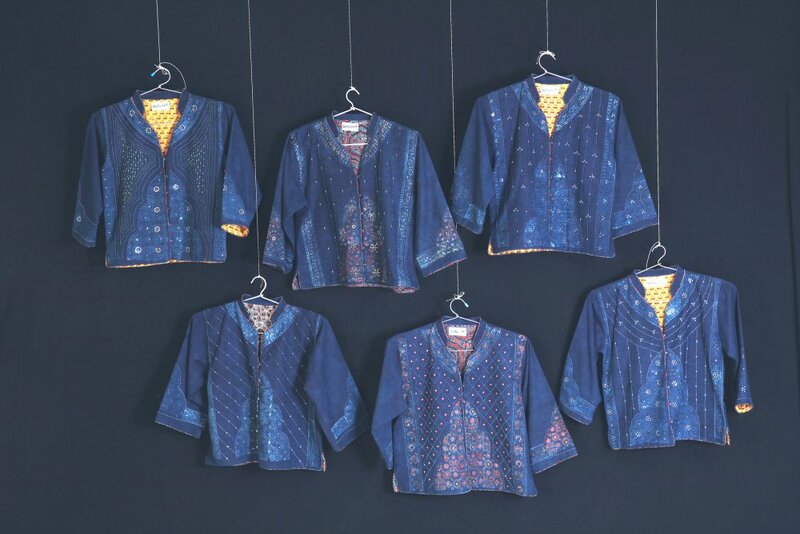 Not only was khadi clothing a sign of a new national identity in a bygone era, Jyoti has redesigned clothing enables the viewer to use clothing to articulate new priorities and allegiances to our family and friends alike. In addition to these public and private actions, Gandhi’s movement persuaded many to adopt a r eformed view of labour. Whether practiced safely within the walls of their homes or in public squares, swadeshi proponents successfully promoted the spinning of khadi thread. As a form of collective labour performed on behalf of the nation, men and women took up spinning, which was for a period of time a requirement of voting privileges in the national body. Given the way Gandhi repositioned labour in his movement, it is not surprising that one of the central motifs of his swadeshi movement was the charka, or spinning wheel. During the nationalist movement, the charka became the emblem of the Indian National Congress. Banners and buntings with charkas were a regular feature of Congress meetings, whose space was carefully carved out of meeting grounds. The charka appeared also when ordinary people, whose sympathies were with the freedom struggle, chose to decorate their balconies with small charka flags or to adorn their kurtas with mini-khadi charka button flags. 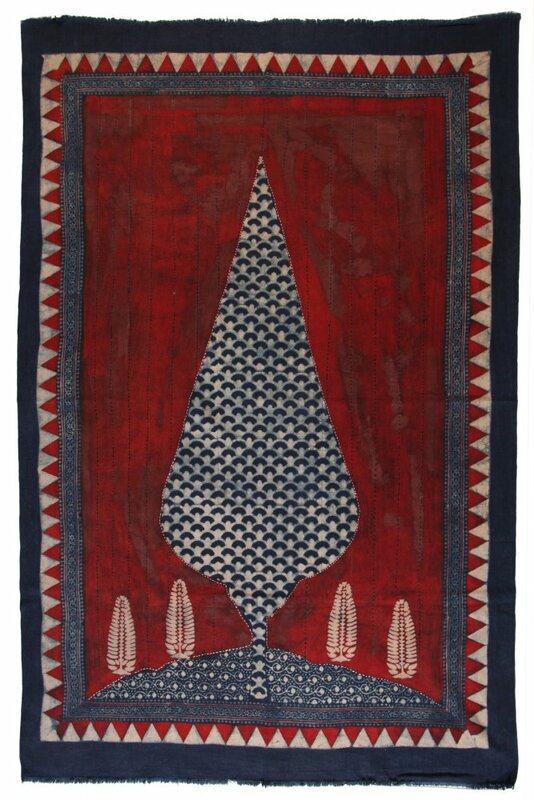 Many of Jyoti’s pieces make use of the charka as a means of promoting a sense of common cause across communities. Given the significance of the charkha, it is no wonder that it figured so prominently at the centre of the Indian National Congress’s flag until independence. 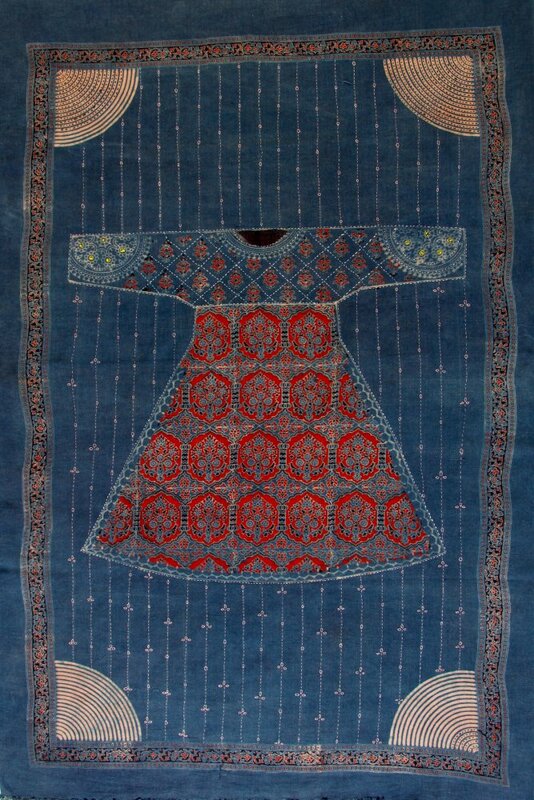 Jyoti’s exhibition incorporates this important motif in several forms. 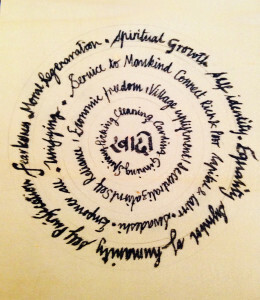 The Khadi Wheel, captures the many associations Gandhi sought to those who plied the charka. 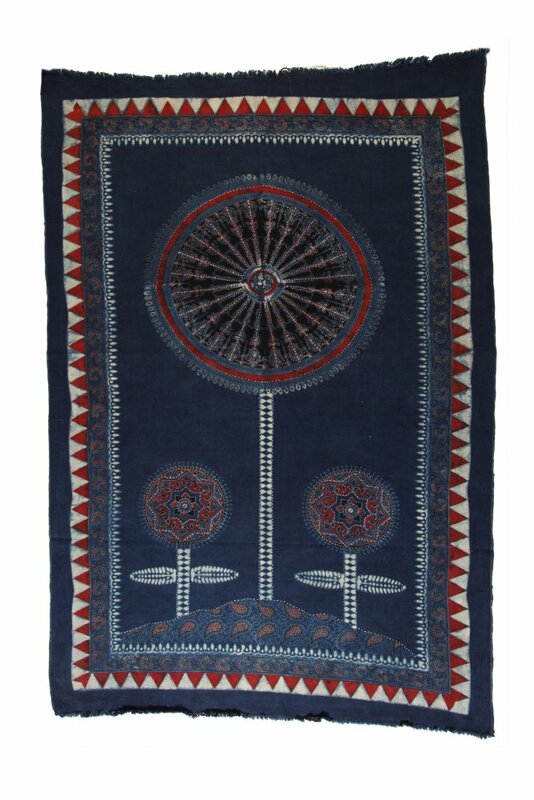 The charka is also represented in The Khadi Wheel, a piece comprised of 1000 khadi bunches. Volunteers spun khadi thread, eventually winding their product in these bunches which could be traded in at khadi bhavans and depots for woven cloth. Early in the non-cooperation movement, voting privileges in the organization depended upon each member turning in khadi thread spun for at least a ½ hour each day. This tradition lives on now in Gandhian institutions, like the Gujarat Vidyapith, Ahmedabad (est. 1920), where students, faculty, and administrators gather daily to perform their ½ hour of service to the nation by spinning on the charka. The charka makes an important appearance in Jyoti’s ajrakh pieces. 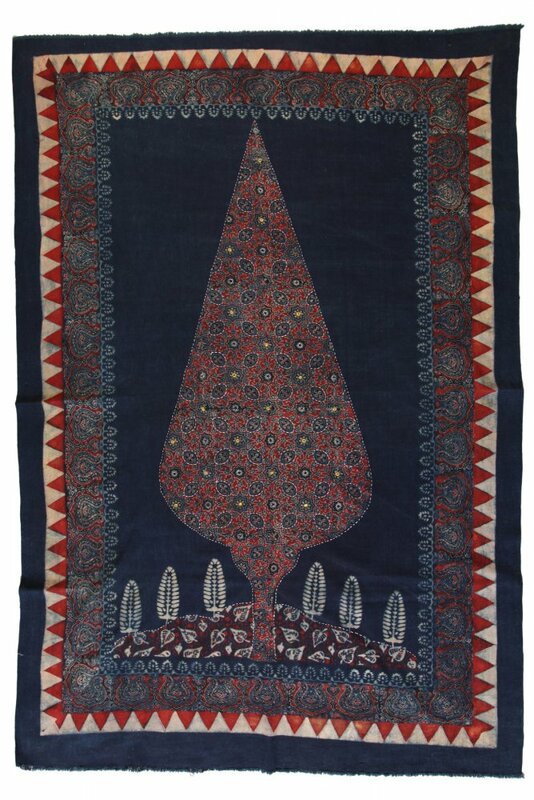 Ajrakh is a printing and dying process associated with Western Gujarat and Sind. 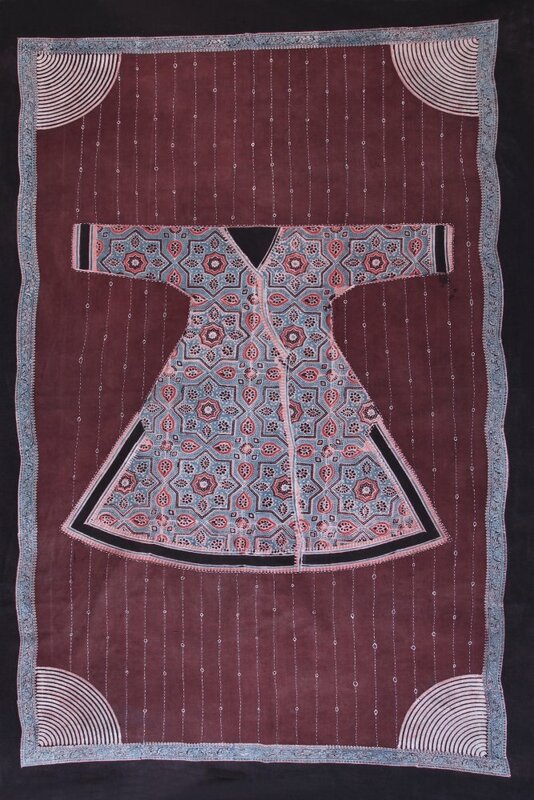 In this region, artisans use hand-carved blocs, often decades old, to bring cloth alive. 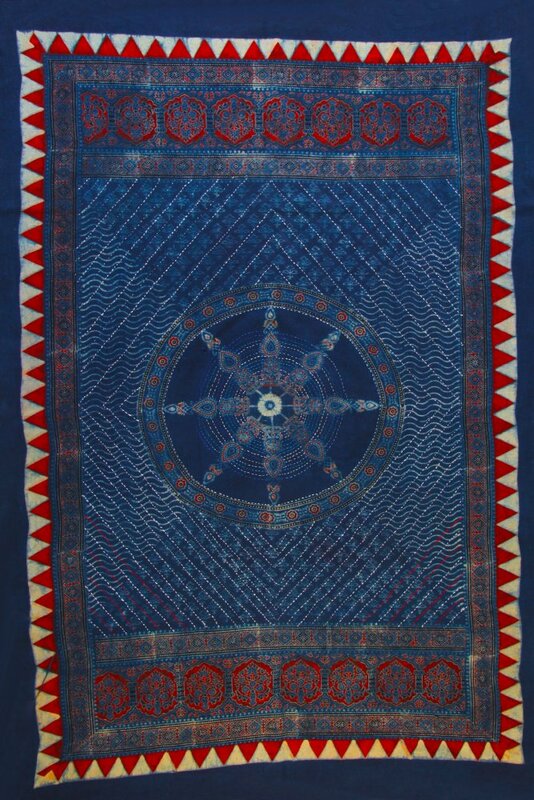 Experimenting with traditional master printers, Jyoti has been able to make use of hand blocks that have been handed down from generation to generation. 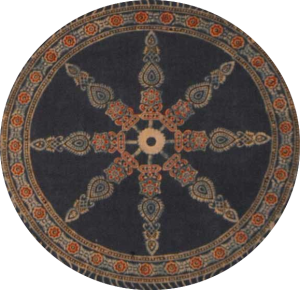 Her collaboration has produced several pieces including one that prominently features a wheel, reminiscent of a charka as well as the chakra that currently occupies the contemporary flag of the Republic of India. 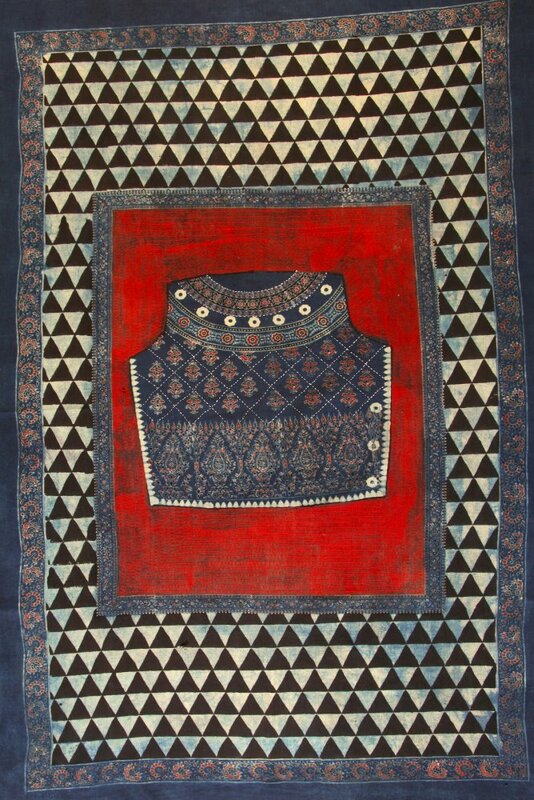 This playfulness allows Jyoti to remind us of the continuities that bind artisans of centuries earlier to contemporary artists like she and her collaborators. Perhaps the most evocative piece in Jyoti’s exhibition titled Lend a Hand, is comprised of two ajarakh pieces each with a large left hand as the centre motif. 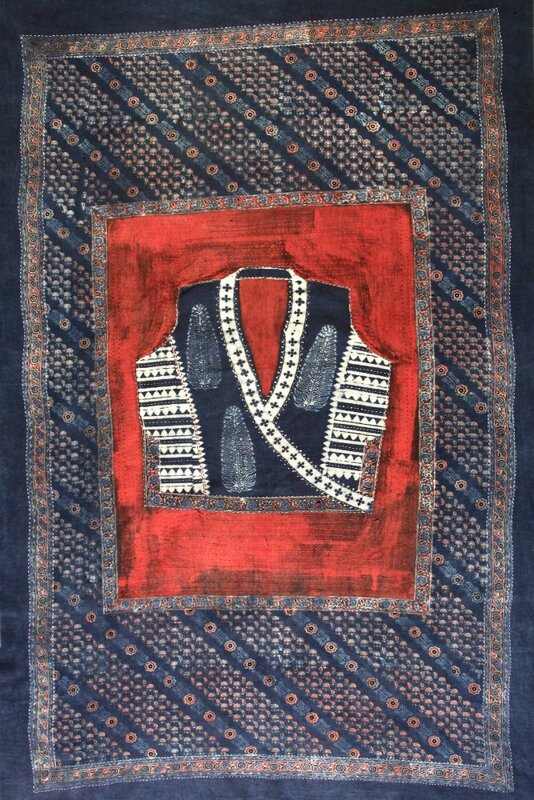 The pieces not only remind the viewer of their duty to the community, but also how special ajrakh khadi is. 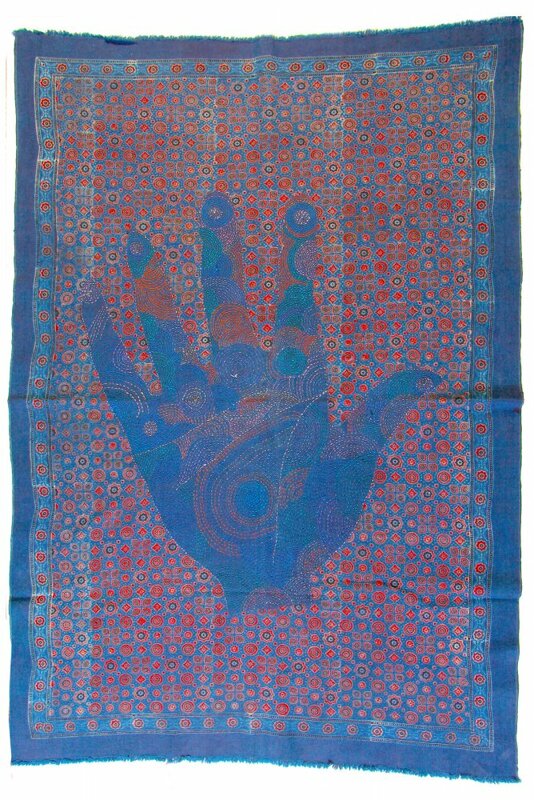 The hand draws attention to the fact that these textiles are neither mass produced, nor machine manufactured. Rather they are produced through the artisanal skill and craft traditions of many generations. The value lies not in the cost of production or the price of sale, but the human effort, skill, and labour that has produced the ajrakh. The questions that Jyoti raises and leaves the viewer with are as centrally important to an ethically and morally engaged community today as they were in Gandhi’s time. Do we value the craft, artisanal skill, and labour of our rural fellow countrymen and women? If so, how do we demonstrate this to ourselves and to one another? How can our lives be intertwined and self-sustaining in an era otherwise characterized by global displacement and the disintegration of community? Are there small decisions that we might make in our everyday lives that honour the kind of community to which we want to belong? Like other communities the world over, India today faces a great challenge. How to maintain its sense of distinctive community while achieving its full potential as a global leader. Jyoti’s exhibition suggests that she believes that the contemporary urban Indian viewer of her exhibition can sustain India through the challenging times ahead in part through the daily choices they make in everyday life. One possibility, Jyoti suggests, may be found in creating new forms of fellowship through our consumer choices. With cooperation and fellowship towards our fellow countrymen and women, India can realize its full potential. 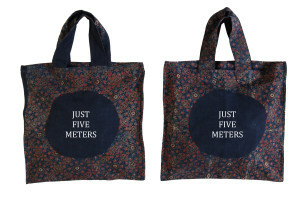 It is within our reach if we consume just five meters. Guru Narayana jee(1942) is a management guru. An exponent on Bhagwat Gita, Upnishads and Vedic literature. He is a mentor to many chief executives and is a yogic volunteer, serving rural and urban India. Swadharma is our own dharma, which is our responsibility, duty and way of being useful to others. Bhagwat Gita opens with the word ‘dharma’ and concludes with the mama. Mama dharma means my dharma my own responsibility: the swadharma of each one of us. This swadharma is the final message, conclusion, summary and spirit of Gita. Shelly Jyoti as an artist has untaken an inspiring mission of combining swadharma, as her own responsibility with khadi march, to assist rural population to uplift themselves. Dharma means basic responsibility of people to each other in supporting each other, protecting each other and contributing to each other. In Mahabharata, Bheeshma taught Yudhishtra and Panadavas of the basic principles of Dharma. There are certain values, principles and products, which fully represent our Indian ethos and culture like yoga, dharma, saptapadi, Ganesh Aum, dhoti kurta, gayatri mantra, namasta and khadi is one of them. khadi was adopted by Mahatma Gandhi and made it a missionary movement like satyagraha, Salt- march and swadeshi. A village is, even now heart of India and khadi represents the ethnic way of fulfilling the needs of people and supporting and encouraging rural population. It is our swadharma-own responsibility to support, encourage, assist and inspire our people to engage themselves in creating, producing and offering khadi products to India and world as excellent supplies of value, usefulness, heritage and as an opportunity band means to serve rural India. In satyayug, the age of truth, there was no kingdom and there was no king. There was no punishment and also no punisher. People protected each other mutually by natural ethical conduct. The khadi march: Just five meters 2016 represents such mutual ethical conduct of supporting each other which is parasparam dharma and swadharma of each one of us. As a citizen of India ,it is the responsibility and duty of each one to participate and support this movement of khadi march. The artist brings out a sense of awareness and message through her design and creations that are innovative, intelligent and insightful and inspiring. 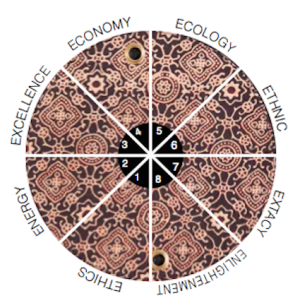 The khadi wheel in itself is the representation of what is khadi march and what it means. Ethical: khadi is ethical. Ethics means harming no one while contributing to some and all. Khadi March 2016 is fully ethical with the idea of sarvodya to revisit in all times to come. Excellence: khadi is an excellent hand woven handspun fabric in its simplicity, wearibilty, comfort and natural appeal. Ecology: Khadi fabric and khadi products are created and used without any pollution and being eco friendly. They are purest forms and examples of man made creations. Ethnic: Khadi represents natural and rural culture of India and has humane value. Enlightenment: Khadi awareness in 21st century is inspiring leading to enlightenment, which is inlightenment.